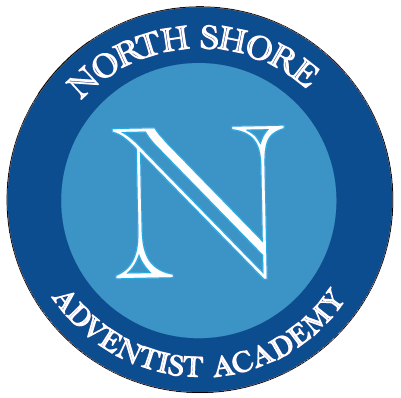 The mission and philosophy of North Shore Adventist Academy is dedicated to helping students prepare for their life in heaven and for their lifework on earth. Our goal as Adventist educators is to help each student develop a life of faith in God and respect for the dignity of all human beings and the earth which God created. We endeavor to help each North Shore Adventist Academy student to build character akin to that of our Creator so they embrace all that is true, good and beautiful. We implement curriculum and instructional strategies which nurture thinkers rather than mere reflectors of others’ thoughts; and which promote loving service rather than selfish ambition. Our desire is for each student to grow and develop to their fullest potential. An education of this kind imparts far more than academic knowledge. It fosters a balanced development of the whole person—physically, intellectually, socially, and spiritually. Working together with our students’ families with support from our constituent church, we strive to prepare each student at North Shore Adventist Academy for responsible citizenship in this world and the world to come.